Despite the title of today’s post, we are not talking about Boston, here. Believe it or not, there is a Boston Harbor here in Olympia, Washington. Its small, scenic and a bit quaint. Every other year the community hosts a garden tour and art show. I love doing this show, because I get to hang out with some of my favorite local artists in a beautiful setting. 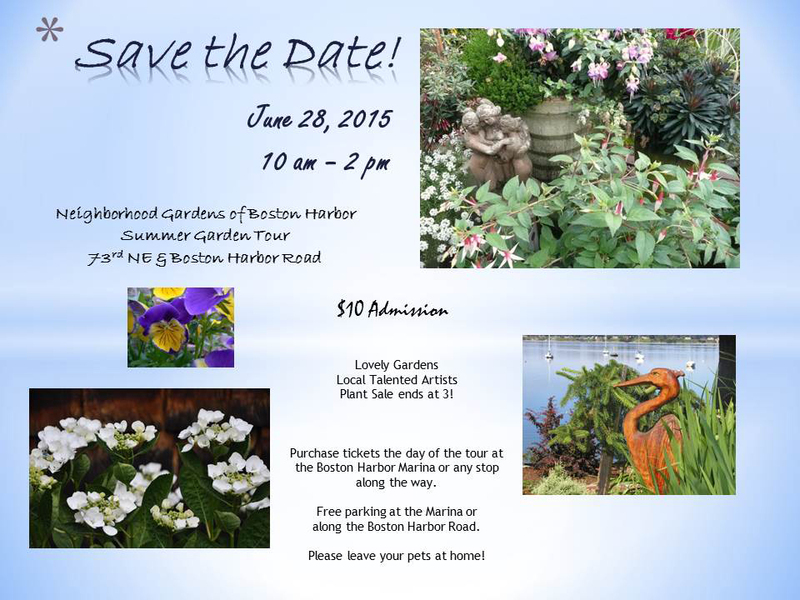 Flyer for the Boston Harbor Garden Tour & Art Show. The day started out with a huge clap of thunder directly overhead. It startled me so much that I dropped the booth prop that I was holding and dashed under the tent! The thunder, lightening and rain had mostly cleared though, by the time visitors started arriving. The day before we’d had temperatures in the 90’s F and fortunately our little storm cooled the air considerably. 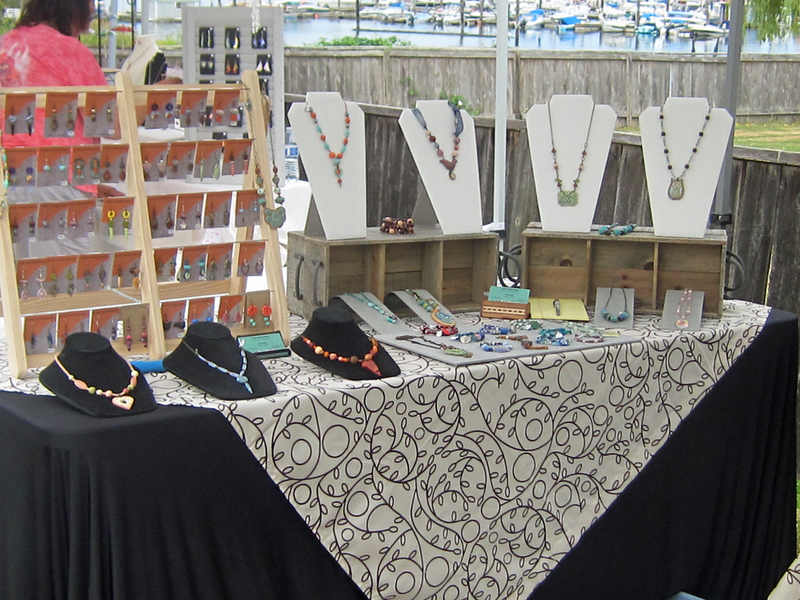 If you look toward the top of my booth photo, you can see the harbor in the background. When the booth wasn’t busy, I just turned around and looked out on the water. So peaceful! You might recognize some of these earrings from my shop, but there are quite a few that are not yet listed, so I’ve got some work to do! Three of these bracelets are still unlisted. 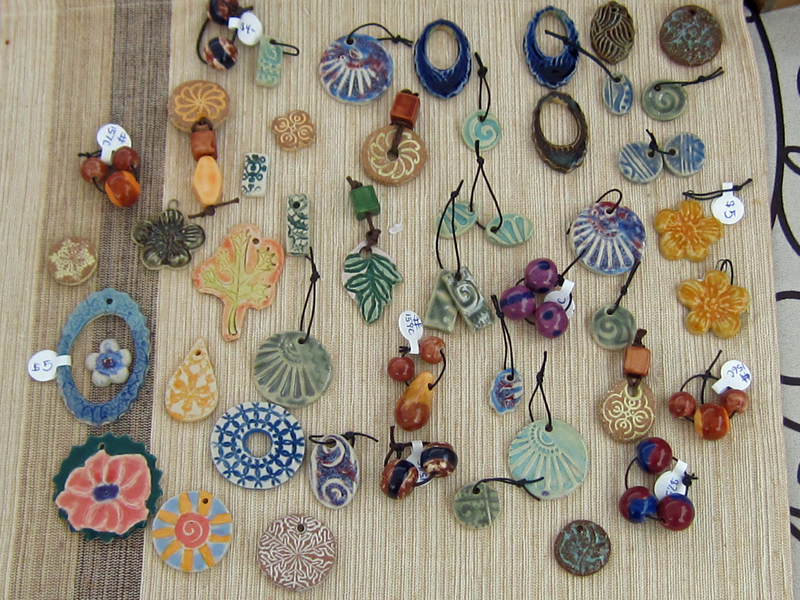 Several of these are bracelets that I made while in Oaxaca. 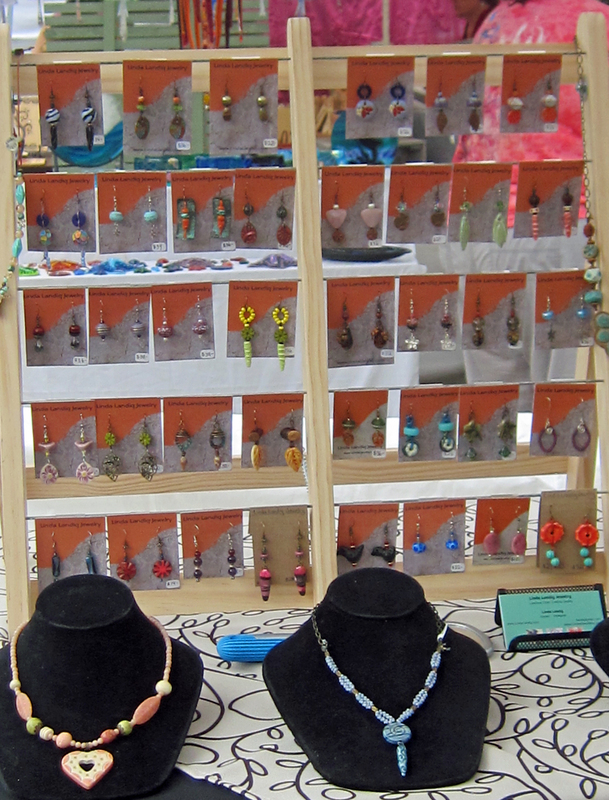 I also had my ceramic components on display. I sold of few of these during the show and a few more were sold today. In addition to those shown here, I have a pile of newly bisqued beads and pendants that I am planning to glaze and fire before the week is out. I hope you too had a pleasant weekend and some sunny, but not scorching weather. Thank you Catherine! 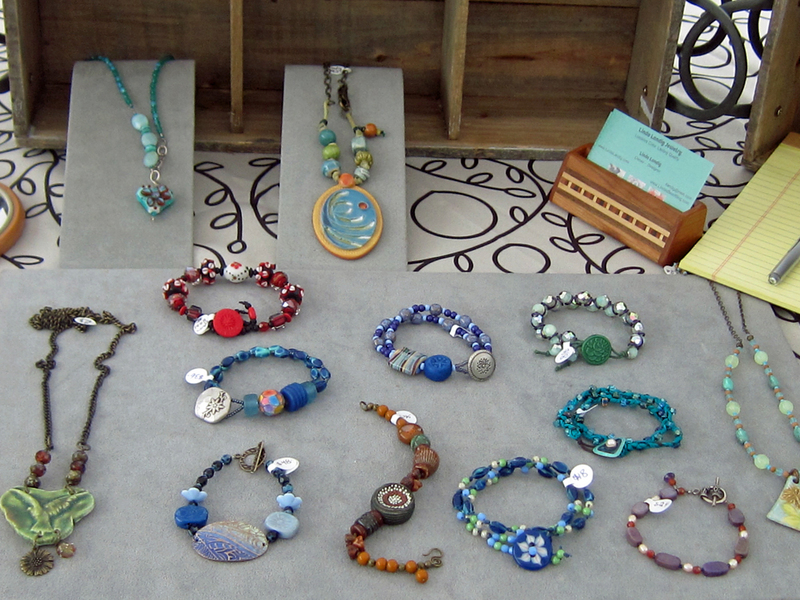 It is a lovely spot and sales were good. oh I love that PNW skyline of trees. What a beautiful spot you have there at your booth! hope you had a successful day! I have had a lifelong love affair with the PNW. I had a fun and successful day, too. When I first saw the title of this post, I thought you meant Boston, MA (I lived in MA for years). Your ceramic components are wonderful! I like how the colors “flow”. They remind me of picasso Czech glass beads.